15 minutes. Thats it! Not an hour, not even a couple hours like it can take for other healthy lifestyle choices like nutrition and exercise. 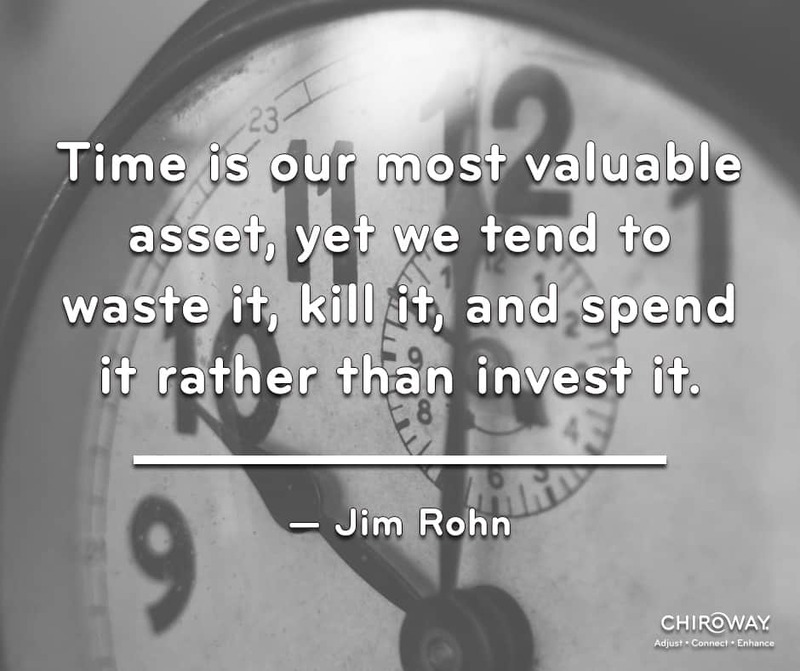 Regular chiropractic care can be an investment of your time if you choose to do it consistently. Week in and week out. With today’s stressful way of living, finding the most efficient and effective means to investing in your wellbeing can be an invaluable habit. Constant stress can become invasive to the body’s natural ability to adapt and function. When stress wins, dysfunction can occur within the spine, which chiropractors term vertebral subluxation. A specific and gentle chiropractic adjustment can help restore the state of dysfunction to a state of proper function. Regular chiropractic care can be a worthwhile investment of your time.